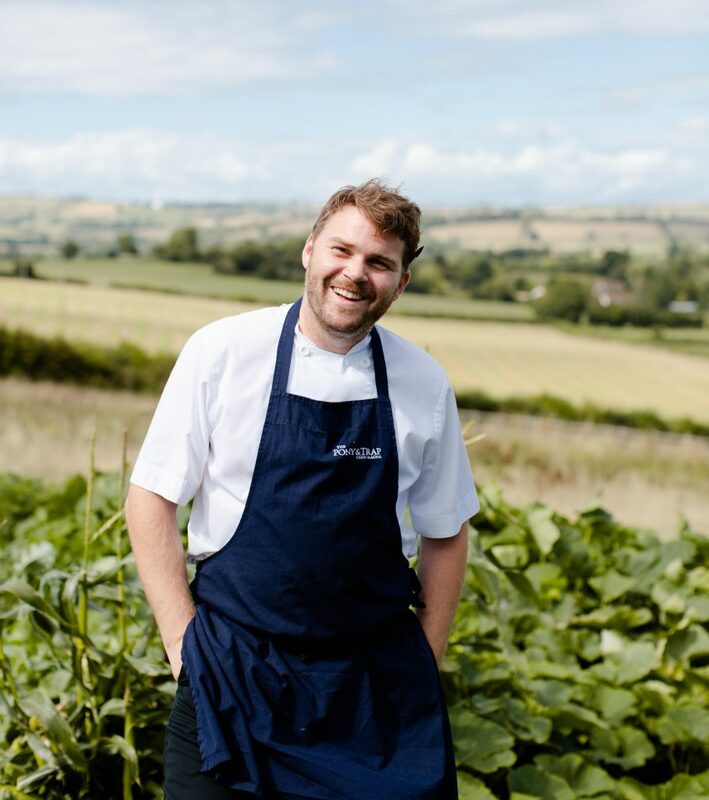 Josh Eggleton is owner and chef patron of the Michelin Starred Pony & Trap in Chew Magna, south of Bristol. The Pony & Trap was named the sixth best gastropub at the Estrella Top 50 Gastropubs awards and has received countless other accolades placing him in the upper echelons of British chefs. Sustainability has always been high on Josh’s agenda and in the last two years he has reflected this passion for local produce with the development of The Pony & Trap’s kitchen garden. Growing his own produce gives him the opportunity to collaborate with the gardeners to develop a higher standard of produce by using non-commercial strains. It also gives him an opportunity to innovate sustainable agricultural systems. In 2014 Josh founded the award winning Salt & Malt brand, a fish cafe on the banks of Chew Valley Lake and a second site in Wapping Wharf, Bristol where both are famed for high quality gluten free fish and chips. Josh is also co-owner of the popular local Bristol gastropub, The Kensington Arms (winner of the 2018 Bristol Good Food Awards Best Gastropub) and co-owner of the brewery The Bristol Beer Factory. He is co-founder of the sustainability conscious pop-up restaurant and food festival – Eat Drink Bristol Fashion which also owns Yurt Lush cafe, bar and bistro along with the Bib Gourmand awarded Root – a dining concept putting vegetables at the heart of the menu, ranked 57th in the National Restaurant Awards 2018. For three consecutive years Josh celebrated his passion for South West food with his appearances on the BBC’s Great British Menu and he appears on Channel 4’s The Restaurant That Makes Mistakes, set to air in Spring 2019. If any of this was not enough, Josh also co-founded The School of Food in 2017, a new style of progressive culinary academy. He also consults for other food operators around the World.